If you are one among those who pop a pill every time you experience some pain, or feel unwell, it’s high time to stop the habit and turn to your own kitchen, a storehouse of natural home remedies for most of the common ailments or pain that we may encounter in our daily lives. Use these for your overall well-being. Take a ripe apple, remove the upper rind and have the inner hard portion adding a pinch of salt every morning on an empty stomach for a week. 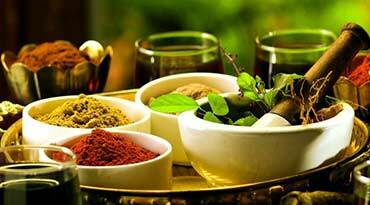 This is an excellent home ready cure from Ayurveda, even for chronic headache. Mix together 8 to 10 basil leaves, half-a-inch piece ginger, 7 black pepper corns, all powdered coarsely, with a large cup of water. Boil for 2 minutes and remove from heat. Cover and keep for 2 to 3 minutes. Strain, add boiled milk, sugar and drink warm. Grind 2 teaspoons each of carom seeds and dried ginger into a fine powder. Add a little black salt. Take a teaspoon of this mixture with a cup of warm water frequently. Just chew a piece of fresh ginger after meals regularly to prevent gas formation. Gargle with lukewarm water, to which salt is added, at least twice a day. But, ensure that you do not make gargling sounds, as this may aggravate soreness. Drink tea boiled with ginger and a few basil leaves twice or thrice a day. Boil a tablespoon of pepper powder in a cup of milk, along with a pinch of turmeric, and take once daily. It is rightly said, ‘a lemon a day keeps the cold away’. For bad cold, juice of two lemons in about 2 and a half cups of boiling water can be sweetened with honey, and taken at bed time. Mix organic apple cider vinegar with a pinch of cayenne pepper powder in less than half a cup of hot water. Have it when it is still warm, at least twice a day. Boil two to three garlic cloves in a cup of water. Mix one-half teaspoon of turmeric powder and drink it daily until congestion clears. Drink a cup of warm milk sweetened with honey at bed time daily. Fry cumin seeds in a little ghee and powder it. Add a teaspoon of this powder with the pulp of a ripe banana and take at night regularly. Have lemon juice drenched in beetroot pieces the first thing in the morning, as it is the ideal way to improve blood in the body. Have at least 125gm of spinach daily for two to three weeks. Heat two teaspoons of mustard oil, to which half a teaspoon of carom seeds and one or two flakes of crushed garlic is added. Boil till they turn red. Filter it, and when it cools, use two drops in the aching ear. Use neem leaves juice as ear drops. Boil a teaspoon of saffron in half a cup of water, and reduce it to become one tablespoon. Divide this decoction into three portions and take it with equal quantities of water, thrice a day for a couple of days. Mix the juice of two to three lemons in cold water and have it daily for relief. Chew one or two tender leaves of fig and leaf buds frequently and gargle with warm water. Make a paste of ripe banana with honey and apply on affected area for instant relief. Gargle frequently with freshly extracted coconut milk from a ripe coconut.